Toddlers are amazing to photograph, but boy are they hard work! They don’t take instruction, never sit in one place for long, will run in the opposite direction you expected and they have an uncanny ability to look anywhere but at you when you have the camera out. All that said, I love photographing toddlers! As they haven’t learnt how to pose yet, you won’t get any cheesy smiles or sullen looks, just a totally genuine and authentic expression. So, instead of trying to force them into a perfectly posed situation, try to capture the essence of that age by allowing them to move and play, and what makes them tick. 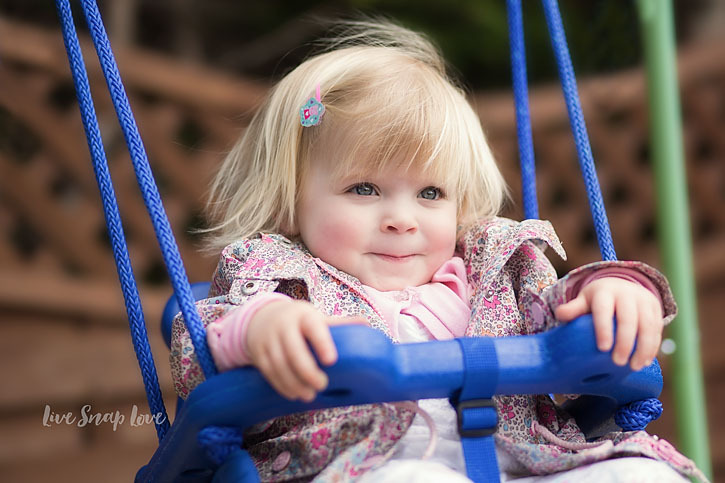 Don’t stress about perfectly posed shots and eye contact, and you’ll find lots to capture and get some amazing shots! The easiest way to get your toddler to stay in one place long enough for you to photograph them is simply to set them up with an activity they can do whilst you take their photo. This helps by firstly by helping keep them in once place and not running off in all directions, but also by allowing them to feel happy and engaged. 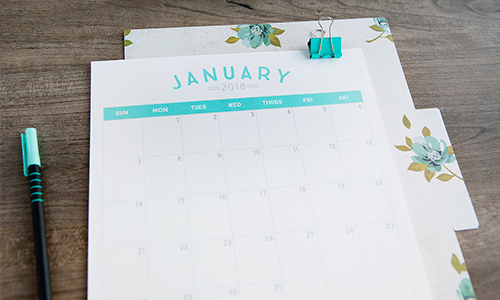 The activity could be anything they like to do, for example: painting, playing in the sandbox, baking, or even just playing with their dolls. These are all natural activities that will help you get a great genuine and authentic photo! When photographing children of any age, you want to crouch or kneel down so you are taking the picture from the same eye level. Often parents will shoot from standing up, and it can lead to your child looking dwarfed in each photo. Although this can be nice for some images (by showing how little your child is) for most, get down so that your camera is parallel to their eye level – this really helps make viewers feel more drawn into the image. Also, don’t be afraid to get in close so you can capture just their face. 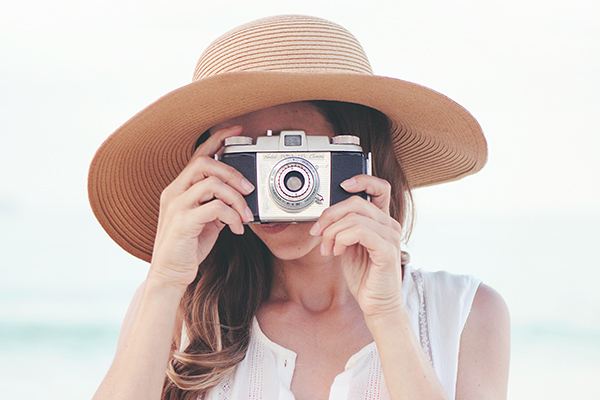 If your child does not like getting their photo taken, then I suggest using a longer length lens (or if you have a zoom lens, standing farther back and zooming in) This can help give a little bit of distance between the camera lens and the child’s face, so it feels less intrusive. A sure-fire way to get a smile on your toddler’s face is to bring them their “lovey”” – the comfort blanket or soft toy that they love to snuggle into. 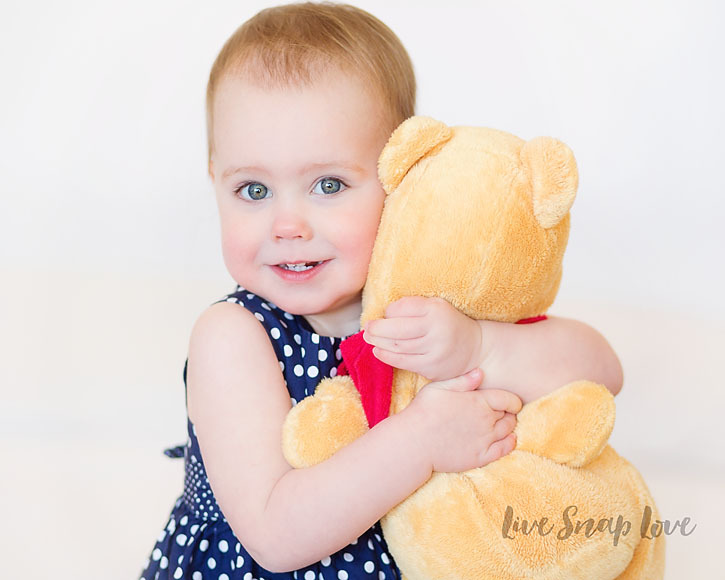 You’ll get an image that will capture what was important to them at this age, and well as some portrait shots of a happy and contented toddler! As before, be ready to go with your camera the moment you bring the lovey out, so you can get the best expressions, and also set this up so that you are near to a window when you are taking the images. Alternatively, you could also try giving them something small (and unbreakable) to hold, such as a flower or a toy truck. This helps keep them busy for a few seconds, but if you find they are continually looking at what is in their hand, just softly whisper their name or make a funny noise to get their head up and looking at you. Be ready to take the shot when they do! Patience is a virtue here. My secret weapon for photographing toddlers is to simply to ask another family member to give me a hand whilst I’m taking photos. 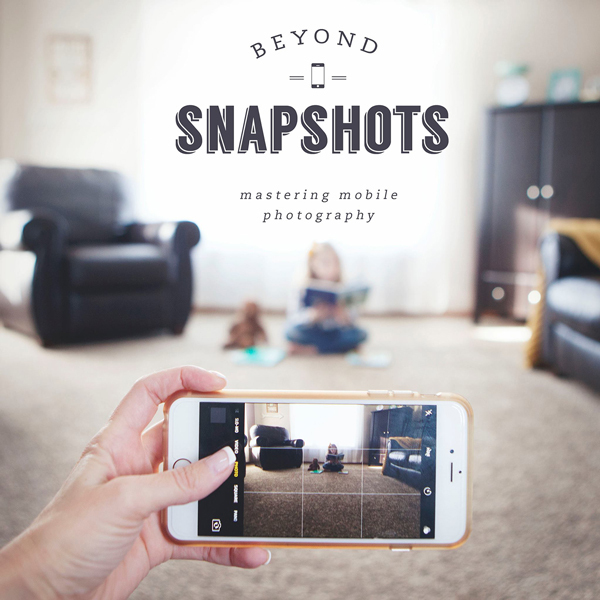 If you are photographing your own children, bring in a older sibling or your husband, and give them the task of entertaining your toddler for you, leaving you free to concentrate solely on taking pictures. This helps a lot since it is really difficult to engage with a toddler when your face is hidden behind a camera! My husband would play peek a boo (standing behind me and peeking out from behind me) or blow bubbles, or tickle, or anything else that could raise a smile! Awesome!! 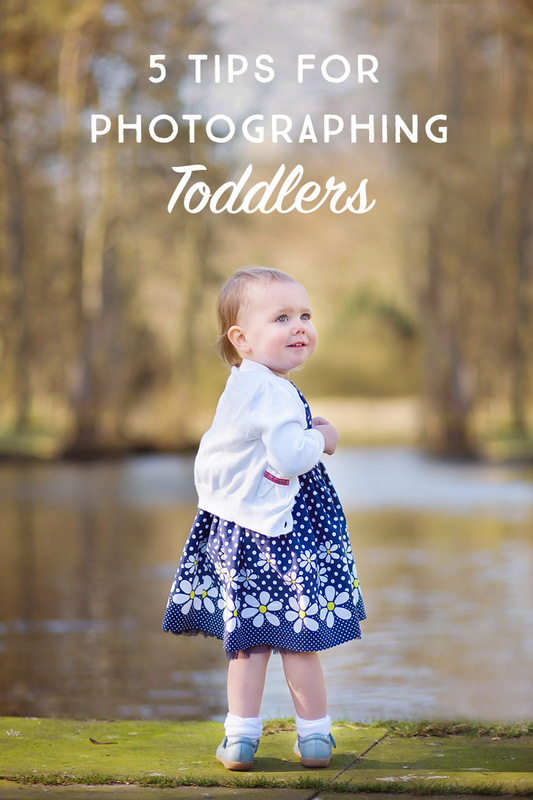 I need more pics of my 15 month old and these tips will sure help!